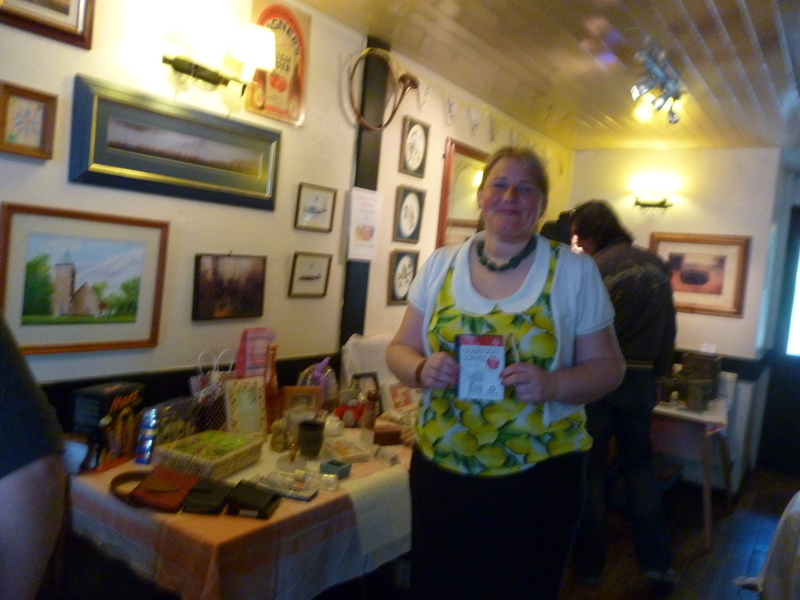 The quiz took place as our first event. 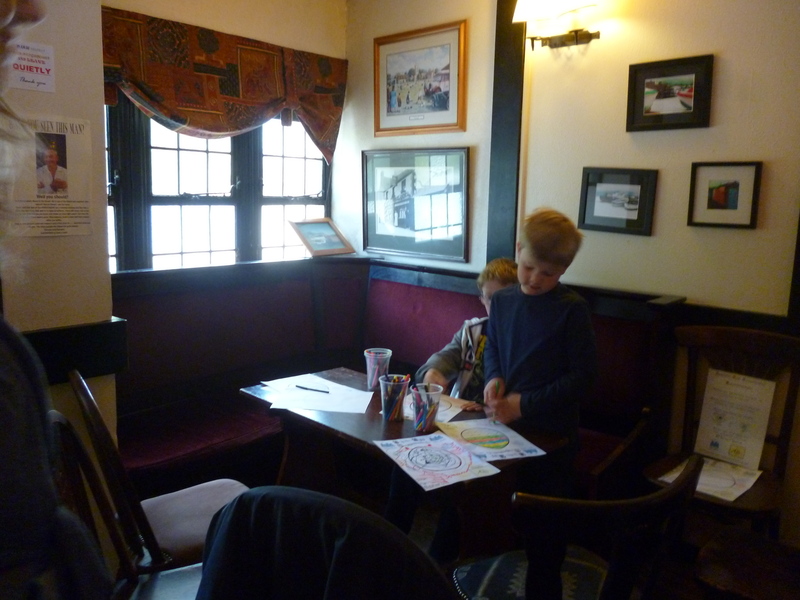 Adam loved quizzes and took part in many with his friends and family. 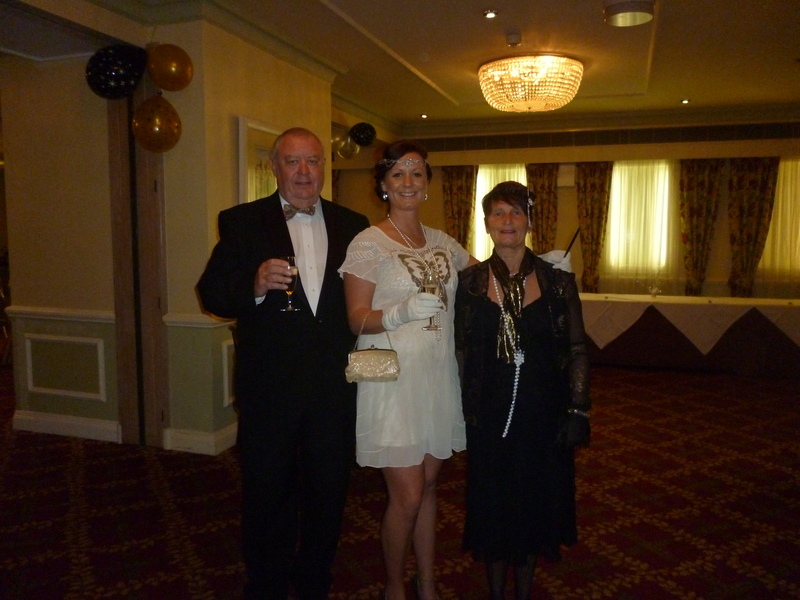 It was a way for all of us to get together, raise some money for the fund and enjoy the evening. 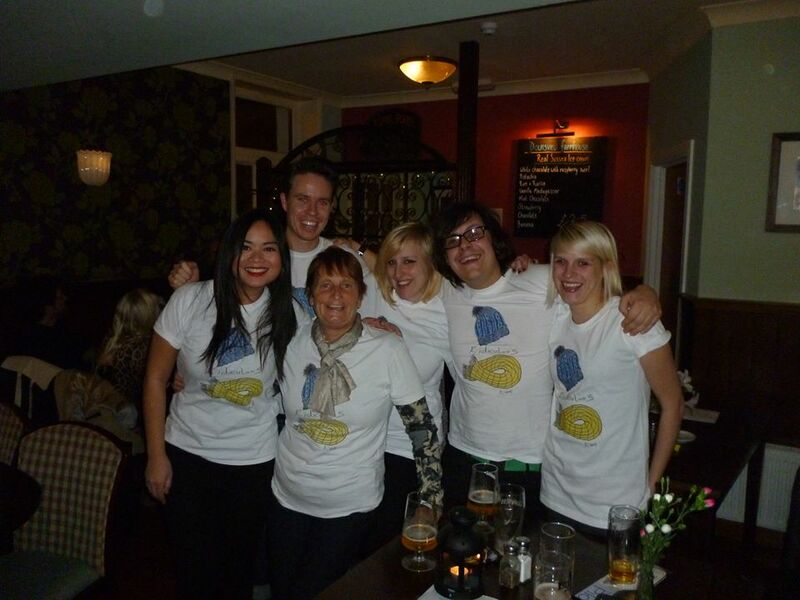 We also had the special ‘Adam Savory T-shirts’ designed by his best friend Bryn, which were sold that evening.The total money raised for our first event was a staggering £738.00. Amazing and thank you to all who came, took part, donated and helped. 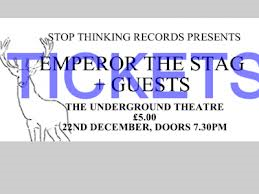 Adam’s friends Alex Speirs and Nick Webb from the Eastbourne based band ‘Emperor the Stag’ held their annual Christmas gig at the Underground Theatre in Eastbourne. Alex and Nick decided to dedicate the gig to the memory of their friend Adam, in order to gather as many of his friends together as possible, at Christmas time. Among their repertoire of songs was the song penned by Alex and Nick “Live the years”, in memory of their good friend Adam. 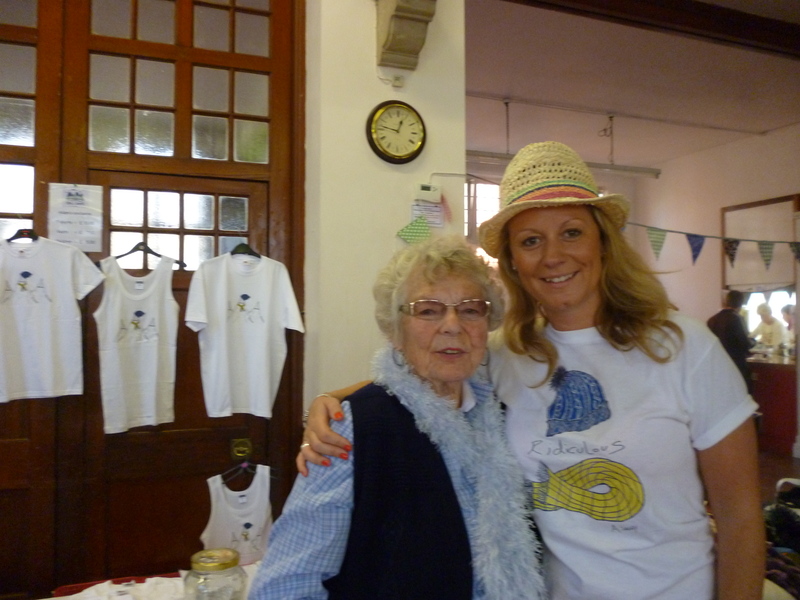 We had a stall again which sold the specially designed ‘Adam T-shirts’. Almost all of the proceeds of the evening were donated by the band to Para-Monte- ‘The Adam Savory Memorial Fund’, which amounted to a sum in excess of £500. This event was extremely well received and special to us all. Thank you to the band, the supporters and the local community. 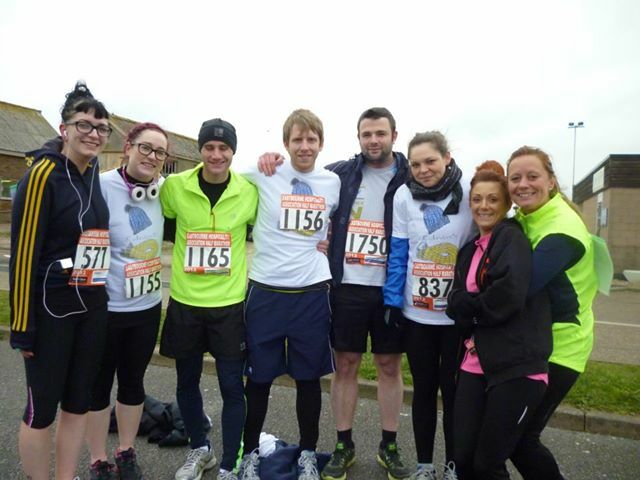 Some of Adam’s family and friends who support Para-Monte took part in the Eastbourne Half Marathon. Runners collected sponsors and donations were given. Everyone has been very generous and however large or small this was gratefully received. All runners did a smashing job! The runners included: Adam’s sister Emma Savory, Kat Brewster, Victoria Shaw, Alex Speirs, Paddy Kennedy-Williams, Luke Dabbs, Ben Curwood, Elouise Feek, Nick Webb, Shelley Hickman, Eliza Molik, Rory Markham, Harvey Burdett, Finty Jewell and Ian Turnbull. To celebrate our fabulous achievement we gathered at our local to have a well deserved drink, to toast Adam and the magnificent money raised (Total so far to date over £3000), we’ll keep you updated on the final sum raised. Thanks also to all the local pubs and Sussex Downs College, for putting up collections boxes and sponsor forms. Well done to all the runners! Thanks again to everyone who cheered and supported Para-Monte. 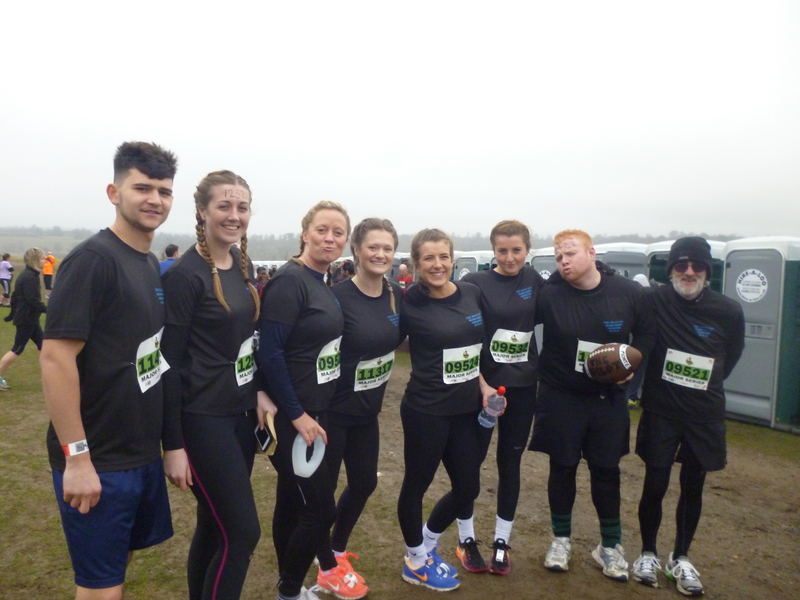 Most of the team before the run, a couple of late comers missed the photo… ooops. 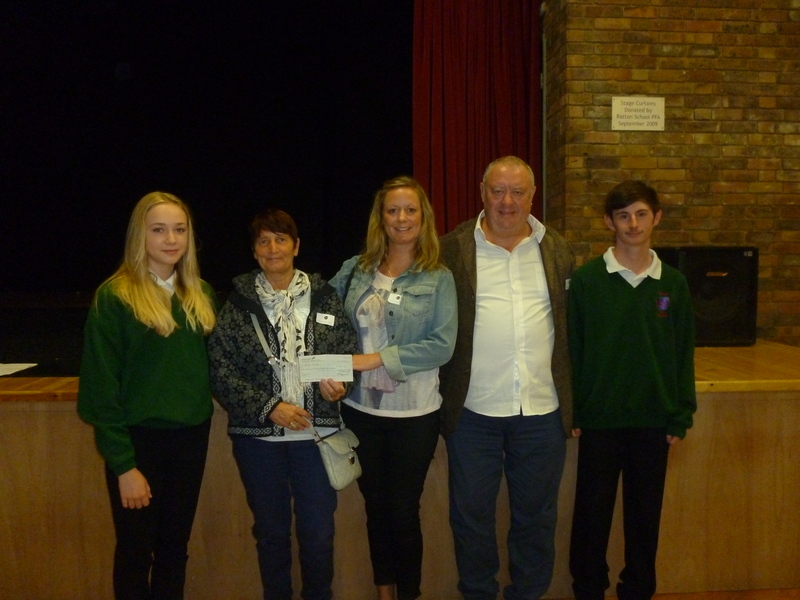 Chris, Jeannet & Emma Savory handed over a cheque to Dr Alan Richardson and his students, who recently went to Peru. Para-Monte was presented with a cheque for £460.00 by Ian Turnbull and Eliza Molik (The Hydro Hotel team),the amount they raised together by running the Eastbourne Half Marathon for Para-Monte. Well done guys and a massive thank you. 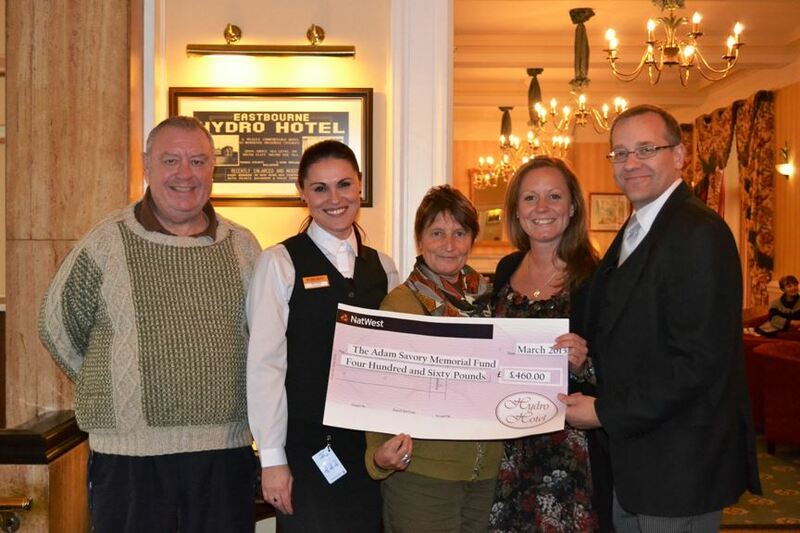 Chris, Jeannet and Emma Savory were presented a cheque by ‘The Hydro Team’ for Para-Monte. The ‘Sarsen Trail’ as it’s known, is an event close to the heart of the Savory family and our very good family friend Martin Grant. Everyone was in high spirits as this was an event that we all knew would be difficult, challenging, but extremely rewarding and emotional.We could not have asked for a better group of people to complete this trail with. At different times during the day, Adam’s friends took it in turns to tell jokes and stories to help us get through the pain barrier, especially after reaching 19 miles, when the pain really started to kick in. We all couldn’t have been prouder of my mum who completed the walk, without even one complaint. She was amazing that day, as she is every single day. Huge amount of effort by everyone and we your support helped us raise well over £900. Thank you. We all did it for Adam! 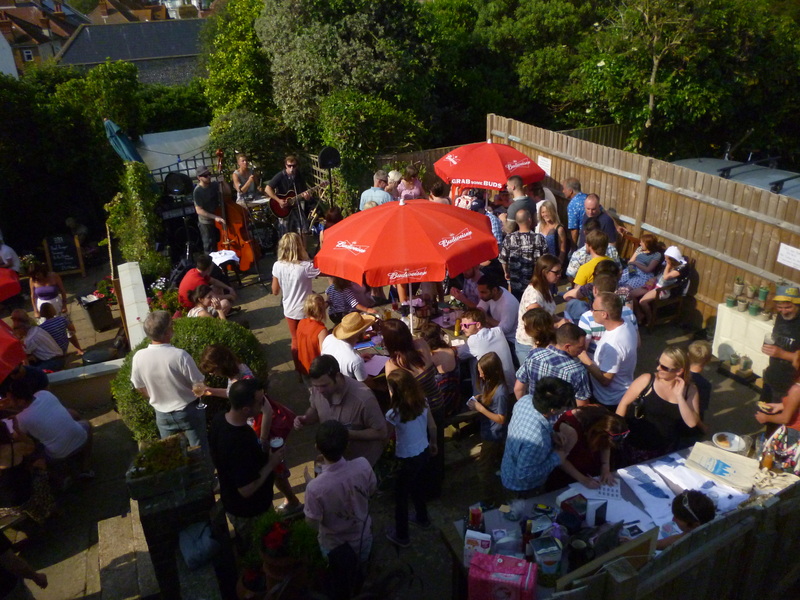 We had our biggest event to date at our local ‘The Pilot Inn’ on 7th July, where we had an afternoon/evening with amazing music, BBQ, a raffle, merchandise stall and above all a really fantastic great atmosphere. At one point, there were over 250 people at the event, so a massive ‘Thank you’ must go to all the people who helped organise the event and the smooth running of the day. The Bands & BBQ (classed by some as a mini Glastonbury), was everything we were hoping it to be and much more. We raised over £1000 in one day, such an amazing achievement! Thanks, we couldn’t have done it without YOU. Adam loved quizzes and our 2nd Para-Monte Pilot quiz was a great success! Many of Adam’s good friends, along with many more family friends and colleagues turned out and enjoyed this get together, raising awareness, valuable money for the fund, as well as testing all of our knowledge. 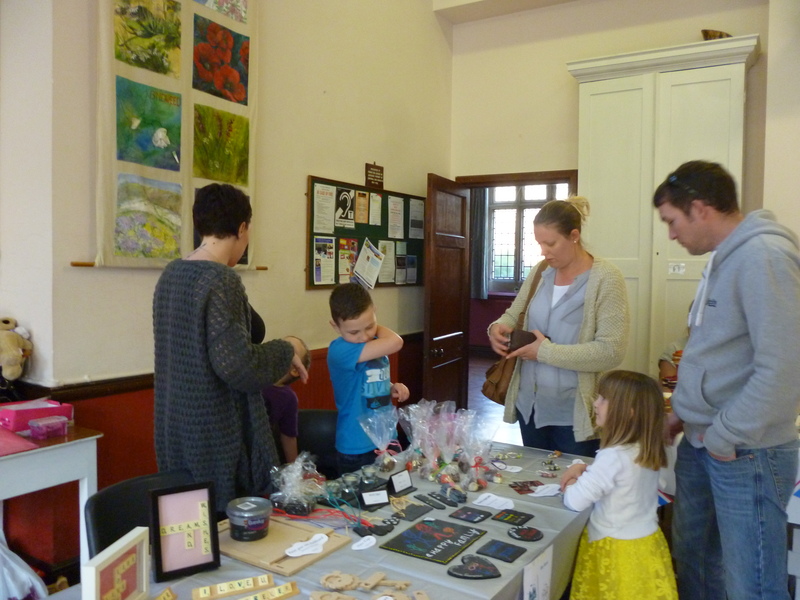 Over £300 was raised and our special Para-Monte ‘shopping bags were on sale too. We are so proud of what we have managed to achieve over the past 14 months and it has only been possible by all the Love, support and kindness of you.Thank you. The Limitless team, all the way from London. Dressed in the Adam t-shirt. A ‘Bond’ themed evening for Adam’s 27th birthday celebration, and no better way to celebrate his birthday, than with the people he loved. 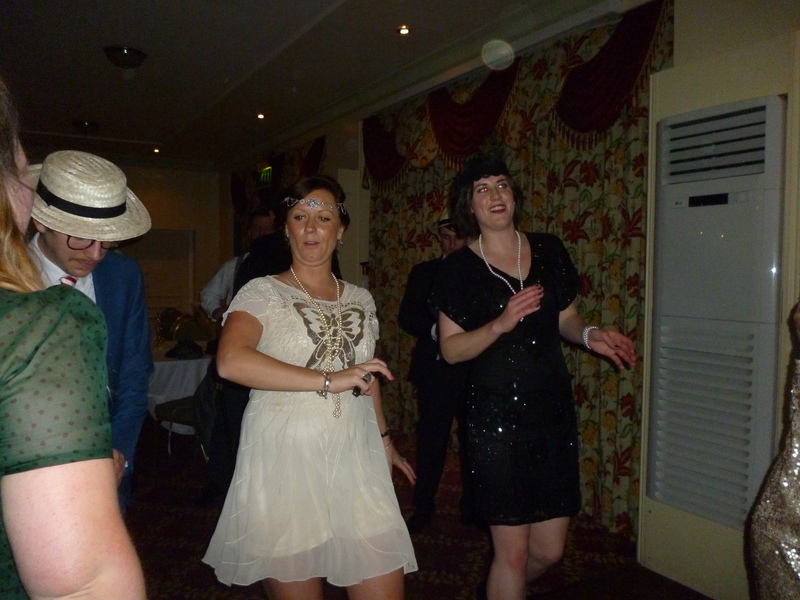 The evening had such a variety of entertainment, pleasure and of course laughter. With what has been described as delicious glasses of proseco to start, casino tables, a silent auction, Bond film screening music and more. The men in their ‘Bond’ like suits and women in their cocktail dresses, everyone looked exquisite! All our loyal supporters and great friends surrounded us on such a special occasion and the evening was a tremendous success. We raised £1750 with all the final donations counted this week. Special thanks must also go to all who helped, especially, Alex, Mark, Marcel (the photographer), Rob, Carly, and all the staff at Maxims. 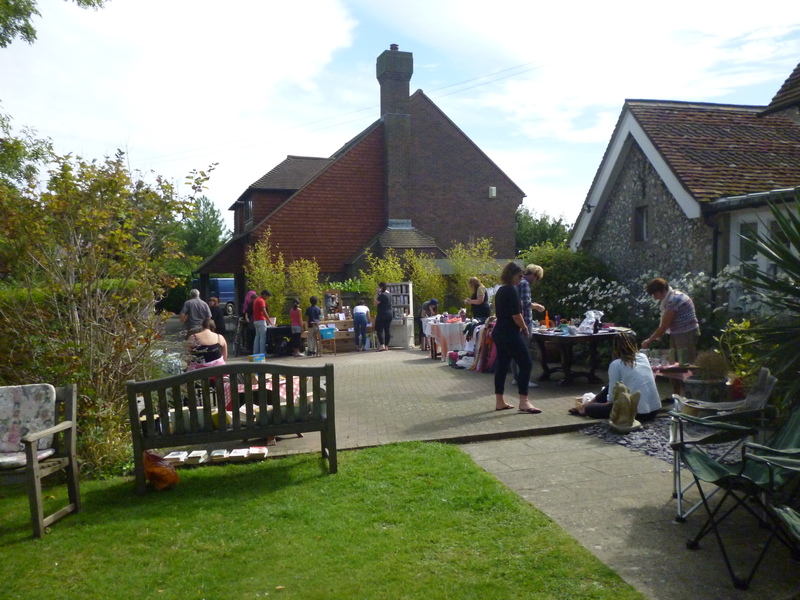 Our first bazaar to raise some specific funds for our epic bike ride in the summer was at the Meads Village Hall, where we had a variety of stalls and a good old-fashioned cream tea for everyone to enjoy. Due to the first glorious sunshine, after weeks of rain, the afternoons attendance by our loyal followers,friends and family was heartening and we managed to raise £177.89 for our bikers. So well done for all who participated with their stalls and merchandise and of course thanks as always goes to the loyal supporters of Para-Monte. 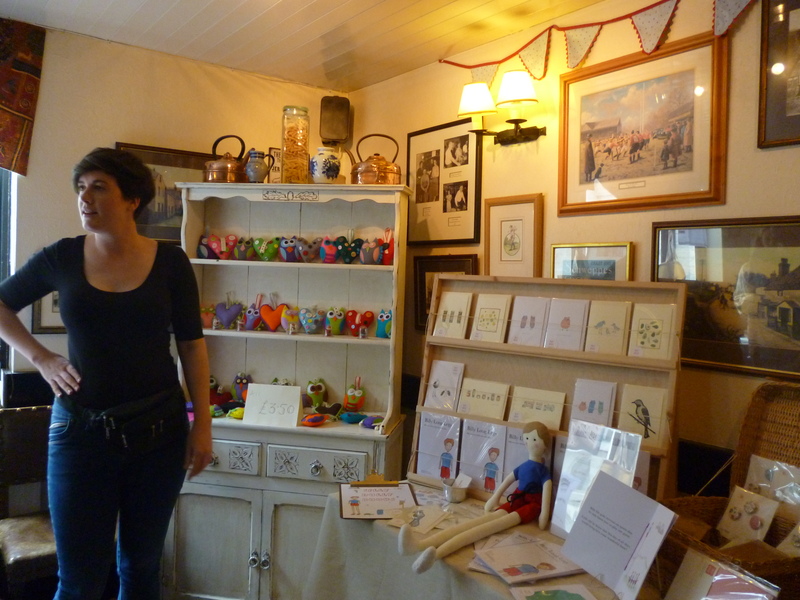 Para-Monte’s joint Easter Fete at the Wheatsheaf Inn at Willingdon was a great afternoon enjoyed by many families and friends, as well as the locals and the community who came out to support our worthy cause. 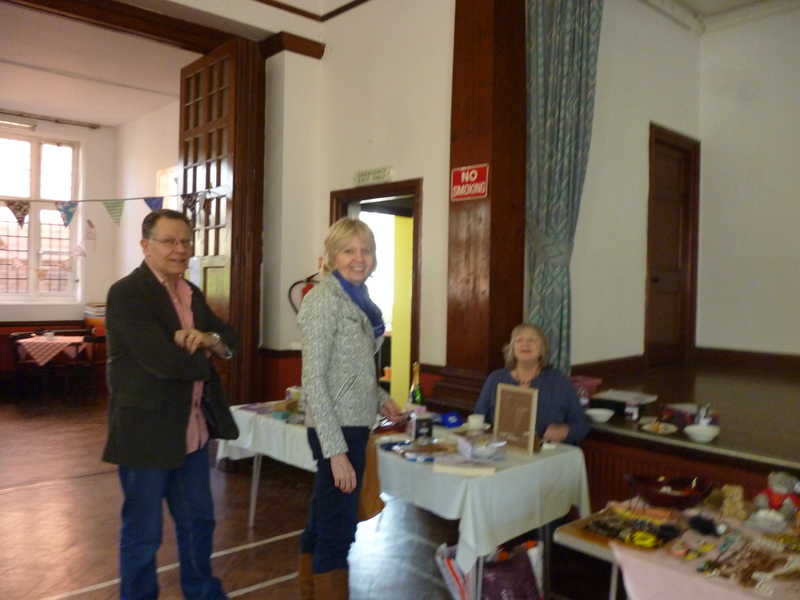 We had lots of different stalls, from handmade crafts & books, pottery, supplied by local potters Graham Marshall and Sarah Harborne, local photographs by Vitus Sukoco, handmade books by Glenda Pearce and a variety of cakes made by some of our loyal Para-Monte friends (thanks Zoe,Lisa Karen and Jane), as well as an Easter Egg colouring competition and hunt which many smaller members of our followers took part in. Huge and massive thanks must go to Leah Hughes for setting up and organising this event and to Martin Hughes for opening up the Wheatsheaf in support of Para-Monte on Easter Saturday. Our appreciation and thanks must also go to everyone who supported us throughout the afternoon and helped raise not only that all important Altitude Sickness Awareness, but a healthy £285.85 towards our bike ride costs too. Well done, we did Adam proud! Your supports and efforts in raising awareness and funds for Para-Monte have enabled us to make a further donation to Brighton University and their Altitude Centre. Dr Alan Richards and his students from the Sport and Exercise Department are helping us to write and construct an Educational Programme/Film to be delivered to schools and colleges as well as travel companies and agents to teach them more about the dangers and risks and effect of Altitude Sickness. This will help us to move forward in raising awareness on a much larger, global scale. We like to thank each and everyone of you who made this possible and for your continual loyal support for Para-Monte. The Savory Family. 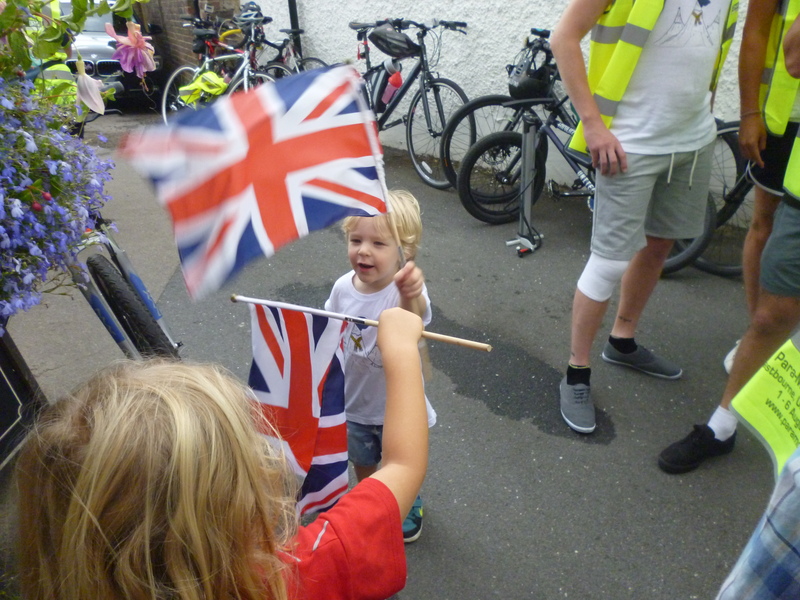 Para-Monte International Bike Ride = 1-6 August 14 – Eastbourne UK- Poppel Belgium. 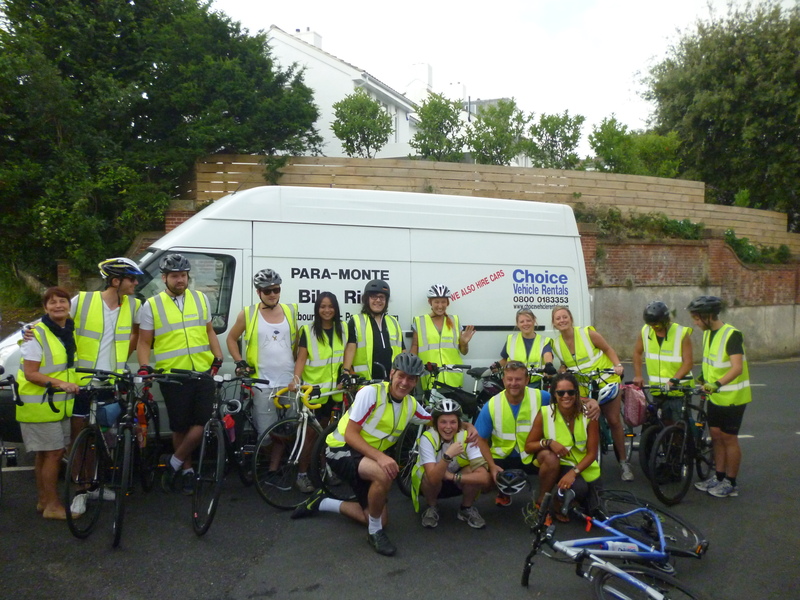 The Para-Monte Bike Ride was an experience for the thirteen English bikers and two support van drivers, who were later joined by another 7 Belgian bikers and another Belgian driver. The cycle ride had been arranged to full fill one of the charity’s aim: to raise awareness for Altitude Sickness. The bike ride started at the ‘Pilot Inn’ Eastbourne, where the Mayor cut the ribbon to set bikers on their way. The first two days cycling saw it’s up and downs through the Sussex and Kent countryside. This was followed by a boat crossing and a completely flat cycle ride through France and Belgium to our final destination where their Mayor, handed out our medals and friends and family gave us a most fabulous welcome at ‘tVoske in Poppel Belgium. The Para-Monte bike ride has been a truly memorable epic experience. The farewells and welcomes at both sides, the sore bums, the dinners, the beers, the after parties, the laughs till we cried, the developing/bonding of new friendships, the continual support of family and friends and the donations we have received from all of YOU, have made this a fantastic way to raise Altitude Sickness awareness. The monies donated at this moment in time is nearing over £6255.86 and rising…..and you still can if you wish @ My Donate……Thank you. This unforgettable RIDE-ICULOUS bike ride was of course above all else to remember to ‘Live the Years’ and ridden for our most beautiful ADAM. 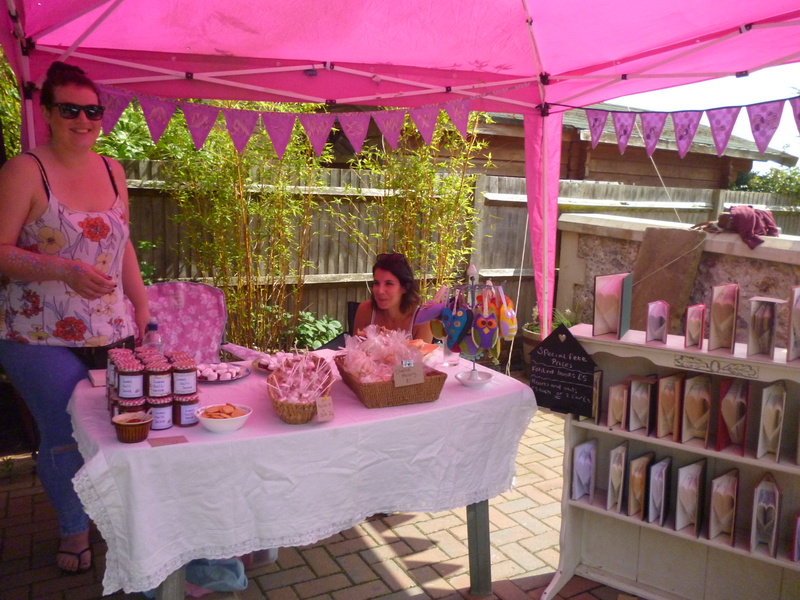 Another sunny day awaited us at the Five Gables Garden……next door to the Wheatsheaf’s beer festival of Ales. 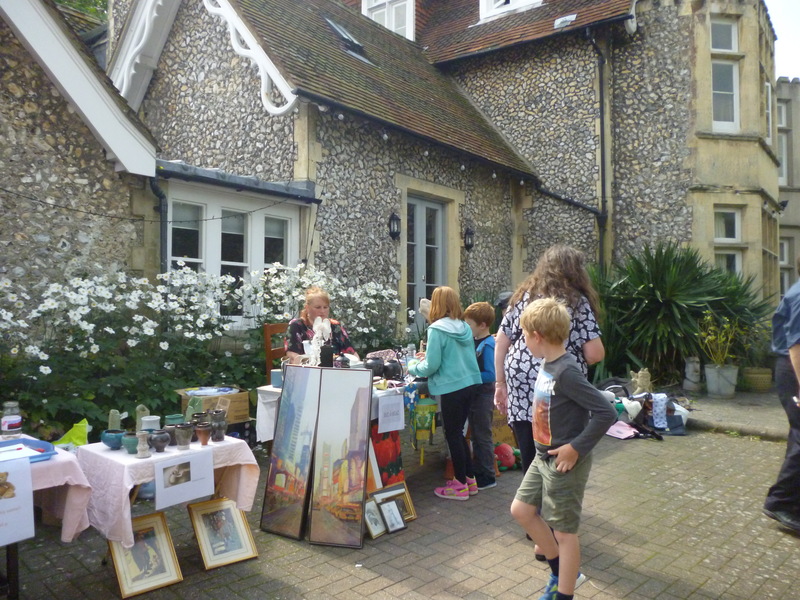 Our familiar stalls of Adam’s Special T-shirts, Raffle, Scarves & Hat, Bric a Brac, Graham and Sarah’s Pottery, Tea and Cakes, Glenda’s dolly books, Vitas photography, face painting and the fabulous Heart and Hound Book Art by Leah. 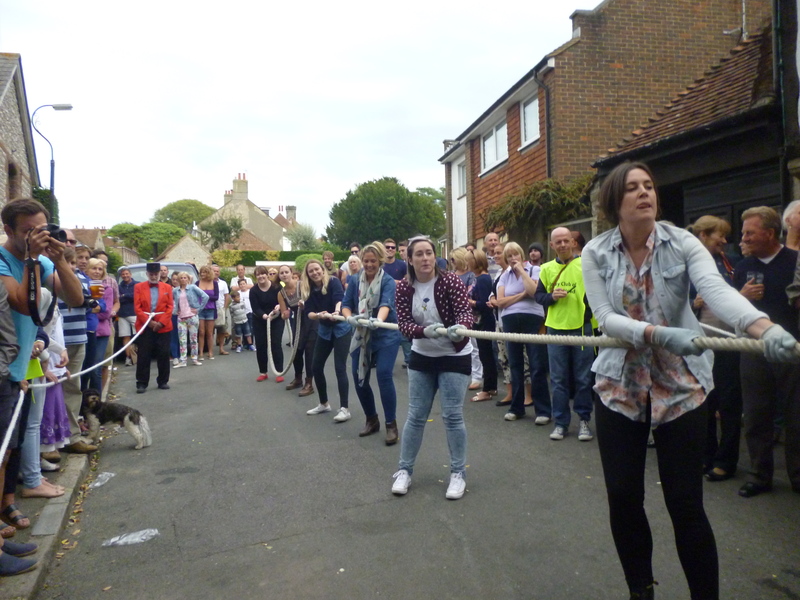 Everyone had an enjoyable fun day…….with the Para-Monte Ladies Tug a War team winning and hanging on to last years first place….……….. all this made possible not only by the special offer of the Roberts Family’s beautiful garden, but made even better by the fantastic support of all of YOU who came and supported Para-Monte. Thanks to you we managed to not only raise that all important Altitude Sickness awareness, but a healthy £356.86 for the charity. With grateful thanks. The Savory Family. This challenge was very close to Adam’s heart and we feel proud that The Three Peaks team of six guys have taken up this challenge of raising Altitude Sickness awareness as their focus to represent the charity’s aim of spreading the word globally. Mark, James, Allan, Russell, Martin and James set of on Sunday morning for their long 10/12 hrs journey to Scotland. 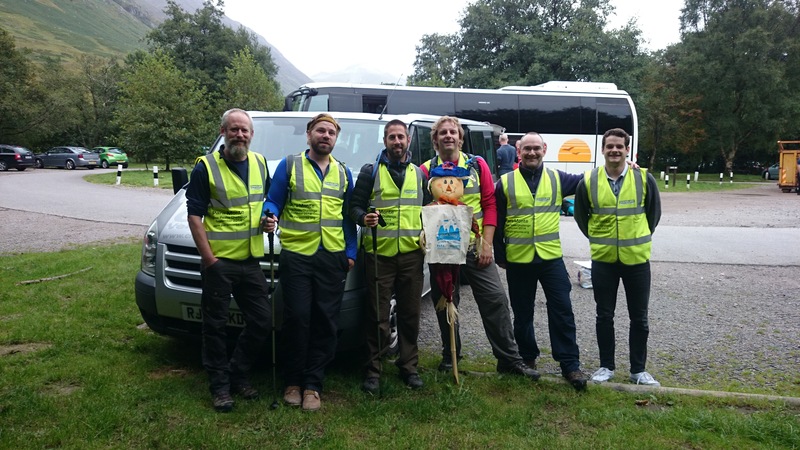 Their Three Peaks in 24 hrs challenge started at the foot of Ben Nevis late Monday afternoon, for the 5 hrs climb when once finished, a six hrs van journey to Scarfell Pike was to come. Climbing a mountain in the dark is a challenge in itself, but Scarefell Pike in 4 hrs of darkness was quite a trek and this followed by another 4 hrs van journey to Snowden and another 5 hrs climb in store, makes for an experience never to be forgotten. The grueling challenge completed, the raising Altitude Sickness awareness and funds over £500 for the charity, as well as Adam’s six colleagues and friends conquering The Three Peaks, make this an amazing achievement! Massive respect and congratulations guys!! This morning we attended an assembly at Ratton School. We were overwhelmed by the total amount of £ 1111.14 raised by Mrs Sue Jones & Lyceum Community students for Para-Monte. We were all very choked up, but Chris still spoke to the students about Adam and the charity. The students were enthralled by it. It was an emotional morning, especially going back to the school where Adam and I went. We are so proud of the students and teachers involved in the fundraising all last year to raise this huge amount for Para-Monte. Amazing job done by Ratton School. 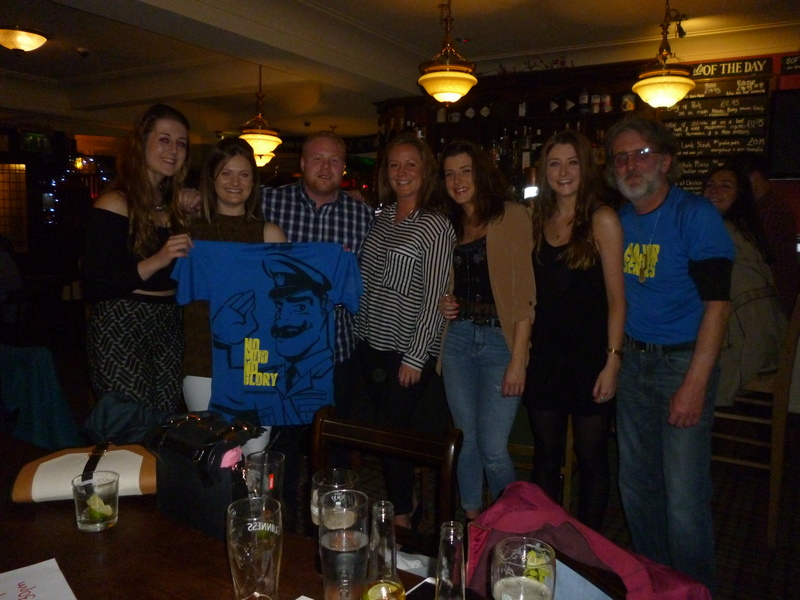 What a quiz night….competition ran high…..and a tie break question……!! We feel a fabulous evening was had by all and like to thank Lisa for the Pilot venue, the girls behind the bar for their service with a smile, Tom Robinson for stepping in last minute with vital mic equipment and Trevor, our assistant quiz master for providing answers and keeping the scores. A truly ridiculous fabulous astounding wonderful epic soiree for our Adam! 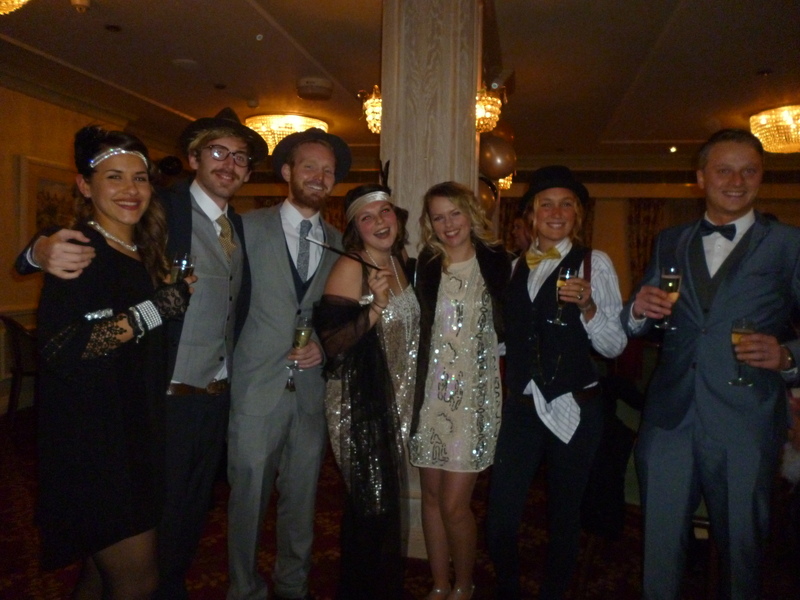 The Gerschwin Gang’s music, learning the Charleston, a silent auction, our photo booth and raising £481.80for Altitude awareness too….made it a fantastic evening. 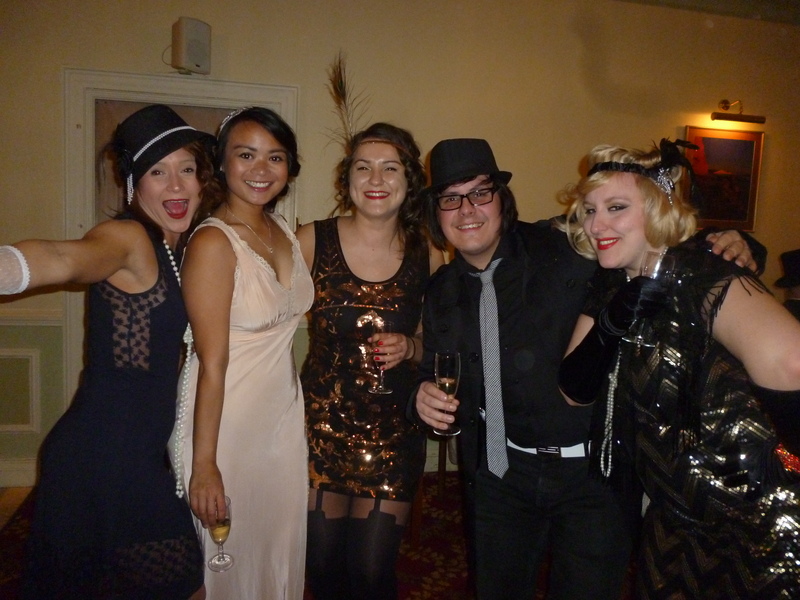 Everyone looked incredibly amazing taking the ‘Dress to Impress’ to another level…. We’re overwhelmed, grateful and thankful for your loyal support as well as the wonderful treasured memories. We all did Adam so so proud! 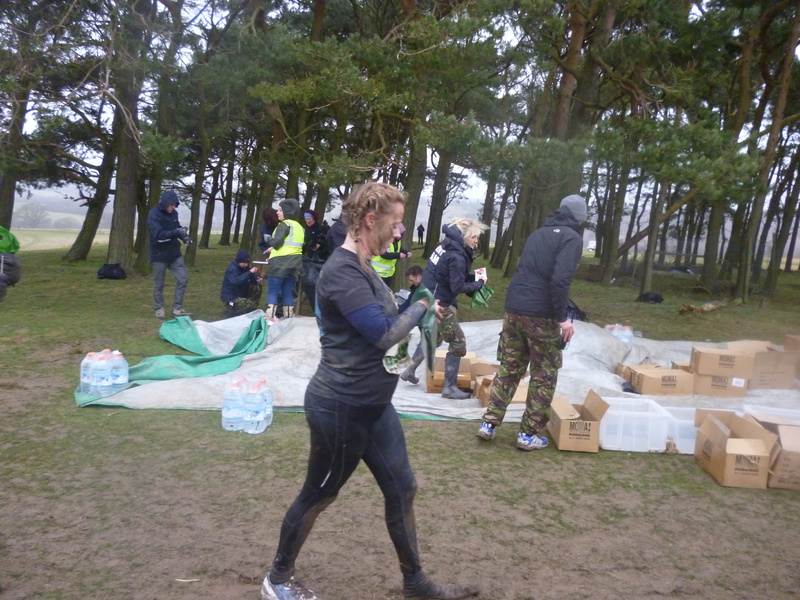 Well they did their grueling mud challenge and wow…….. how grueling was that!! However,Team Pilot conquered and won the day…all be it on their socks for some! Para-Monte would like to thank Chris Proctor for organising the run and Proctor/Pilot for sponsoring the great Para-Monte running vests, of course not forgetting to congratulate each of you mud runners on your mammoth efforts. We thank all our supporters and everyone who donated to this mud challenge and helped raise funds of £402.78 as well as Altitude Sickness Awareness. You all did Adam proud. Massive Well Done!! 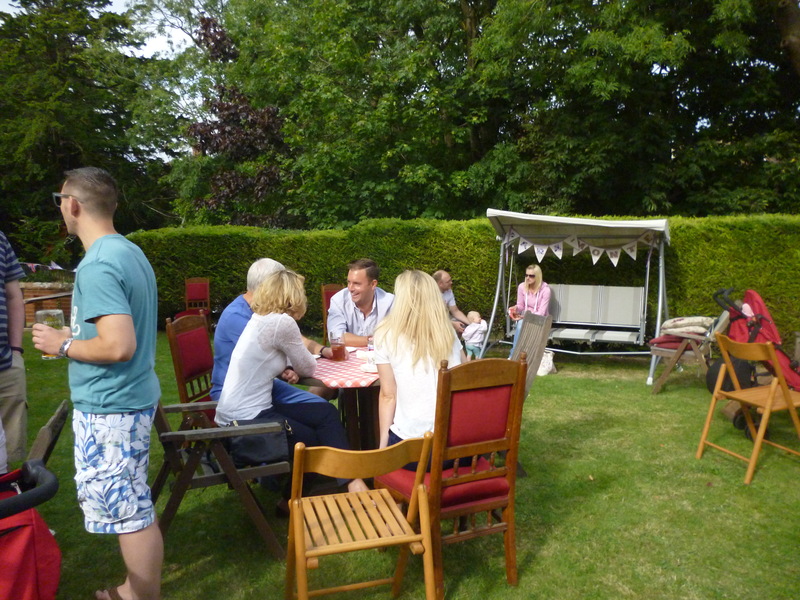 Our yearly summer fete at the Wheatsheaf beer festival got underway with a little cloud, however soon the sun came through and exciting times were had. Thanks goes again to Jill and Tim’s for their lovely garden as our venue, where there was plenty to entertain the crowds at this combined event,such as:The Special Adam T-shirts,Leah’s Heart and Hounds handcrafted books, Graham’s Pottery, Jools jewelery, Bric a Brac, Lucky dip and Face Painting as well as our lovely tea & cakes stall, which was very well frequented, providing a welcome interlude. 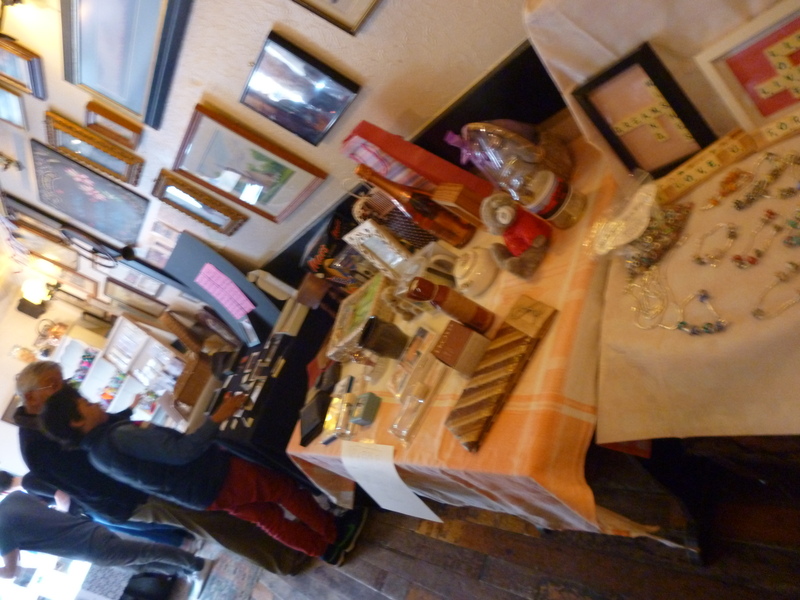 Once again thanks also goes to all the people who cooked, baked,set-up stalls and gave up their Bank Holiday Sunday to man the stalls!! 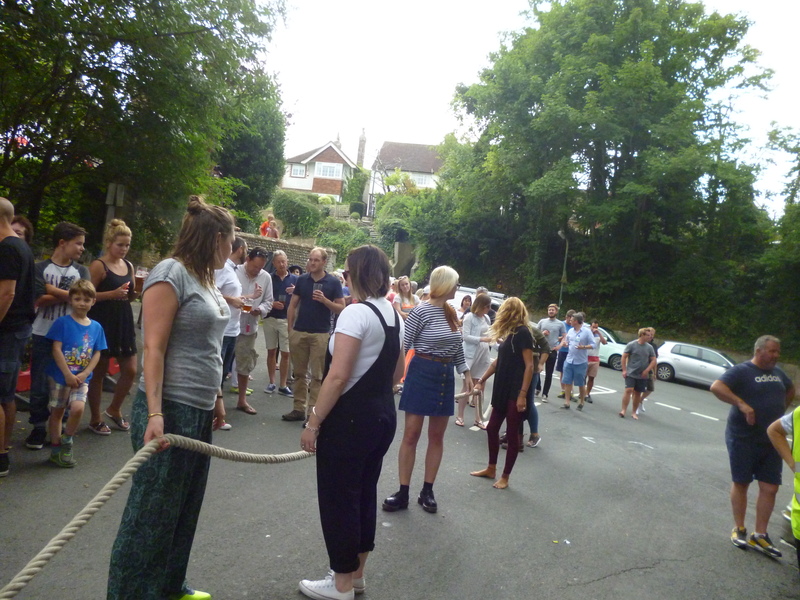 A very enjoyable and fabulously fun day, made even better by the Para-Monte Ladies Tug a War team winning again, thus hanging on to their previous two years first place….Well done Ladies!! Mind you, much appreciation and thanks as we couldn’t do these events without Everyone who came, took part and gave their support to this valuable cause, also boosting our charity funds by £323.41 to help raise that all important Altitude Illnesses awareness. 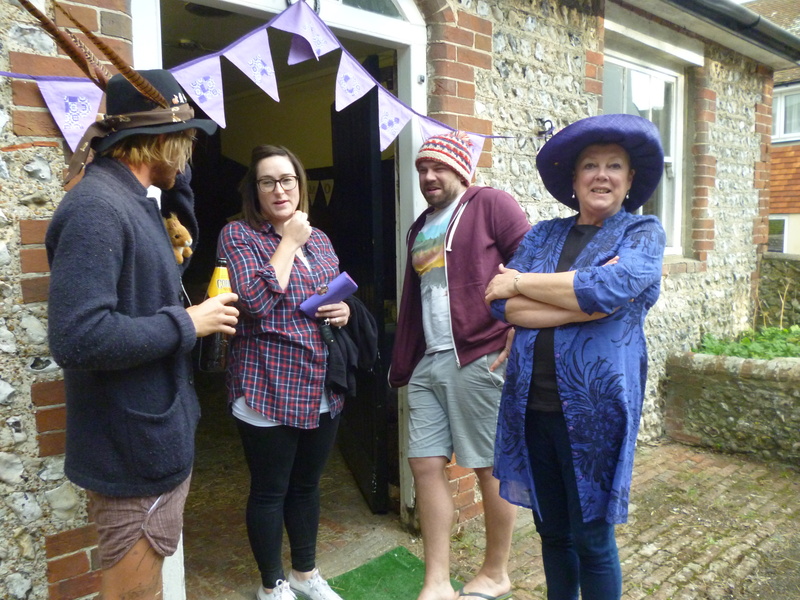 We were cordially invited by Alison Hughes,Bea Cornford and Leah Hughs, who had arranged this Mad Hatters Tea Party for Para-Monte in aid of raising awareness for Altitude Illnesses. 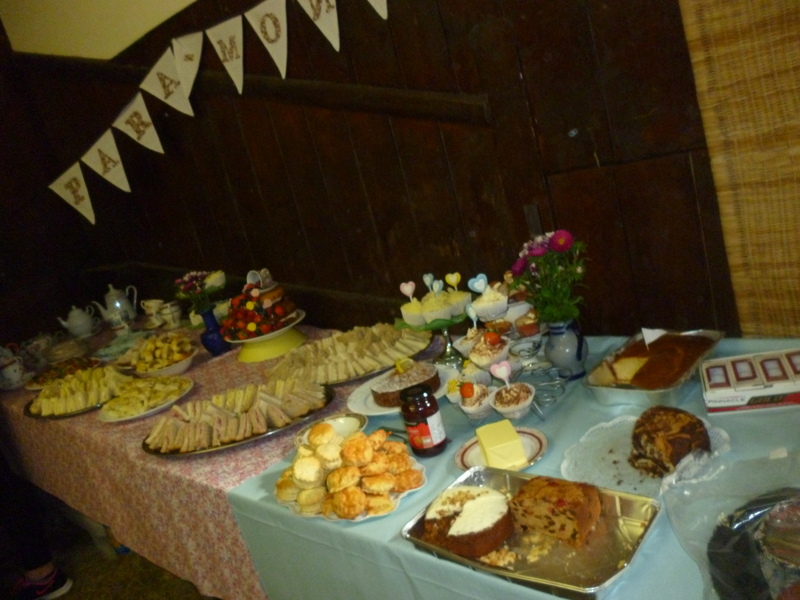 The ladies had made an enormous effort with a bake bonanza not seen before, with the barn @ the Wheatsheaf being beautifully decorated with: bunting, floral table clothes and serviettes as well as having tea out of vintage teapots and cups, all added to the setting of this fantastic venue. 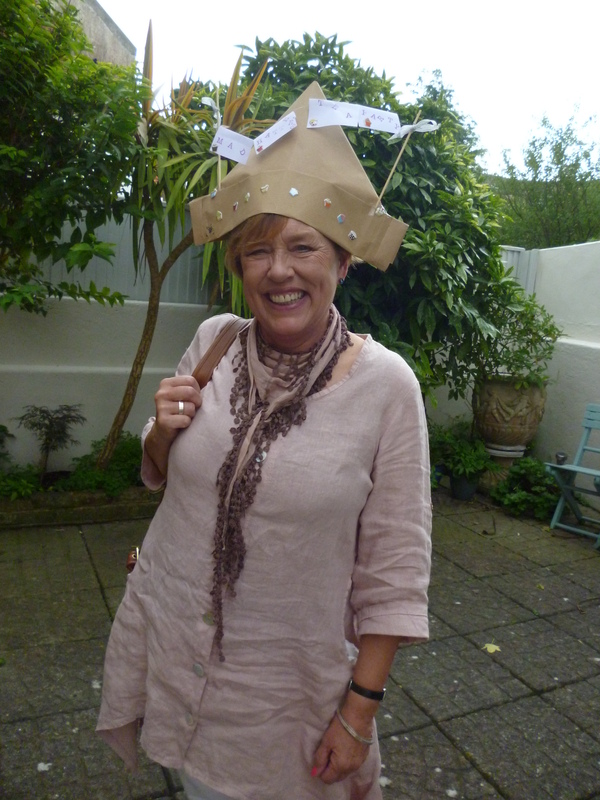 Mind you all this was topped by the amazing creativity,time and efforts people had spent in making their fabulous Mad Hats! 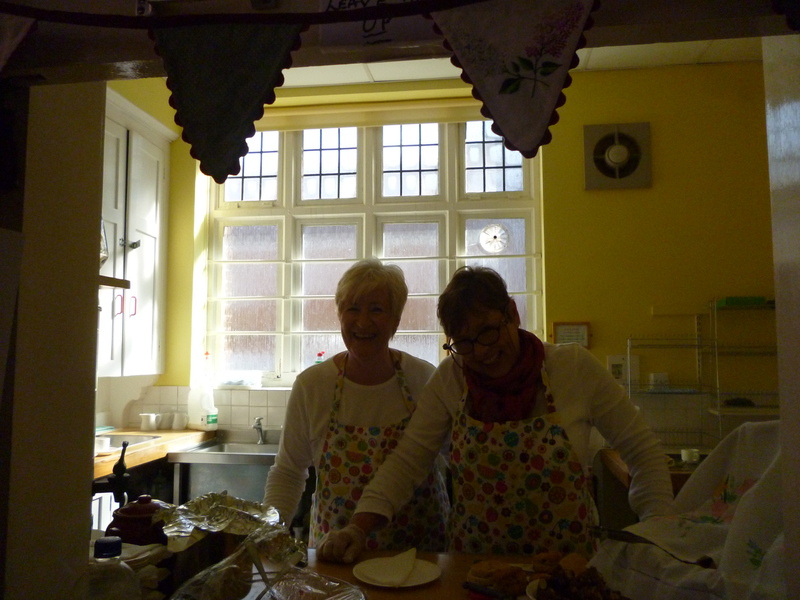 As well as being able to drink tea (or some cheeky alcohol out of the teapots!) 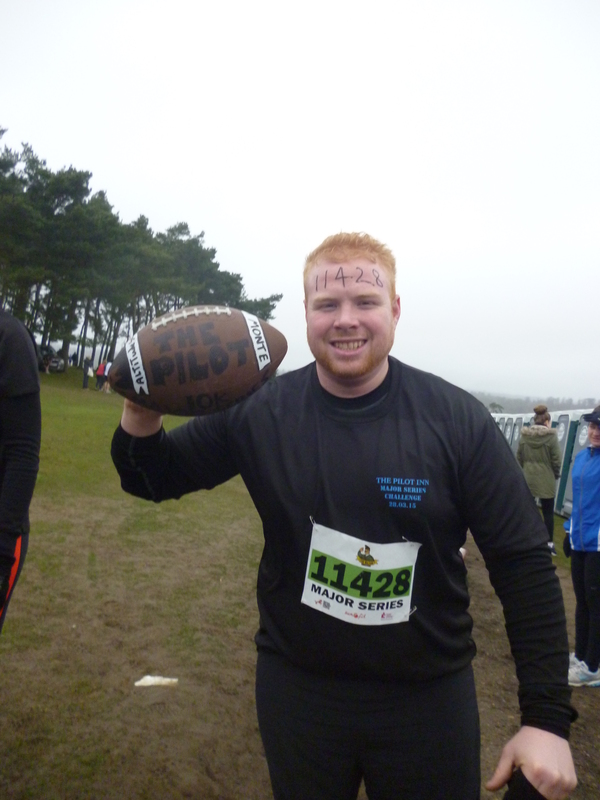 a brilliant £160.00 was raised for the Para-Monte Adam Savory Memorial Fund too. 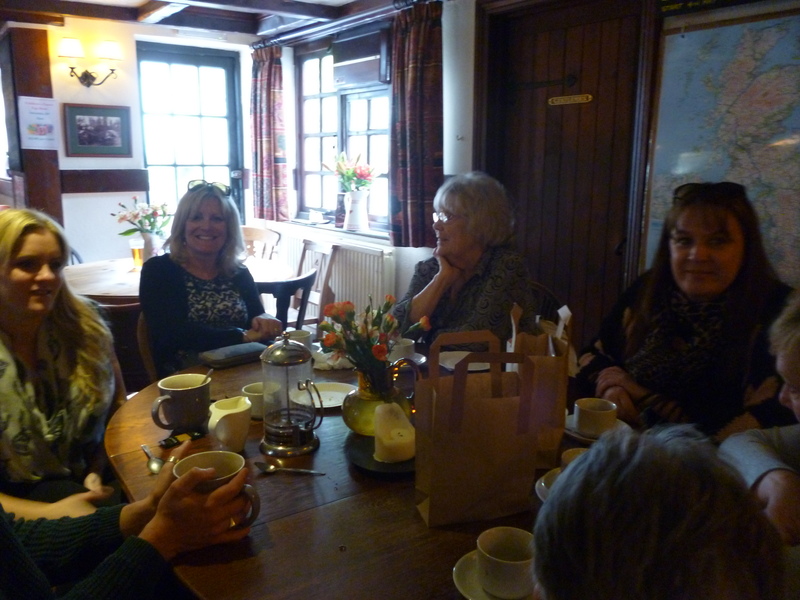 This made a fabulous afternoon well worth repeating, so many more followers will be able to take part next time. 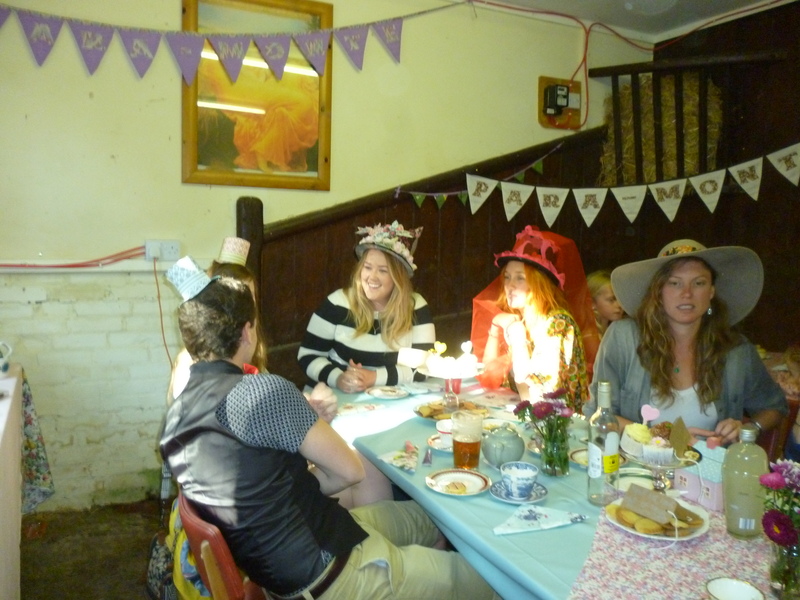 Thanks again to the three lovely ladies for this magnificent Mad Hatters Tea Party and all of you who attended to eat all the cakes and made generous donations. 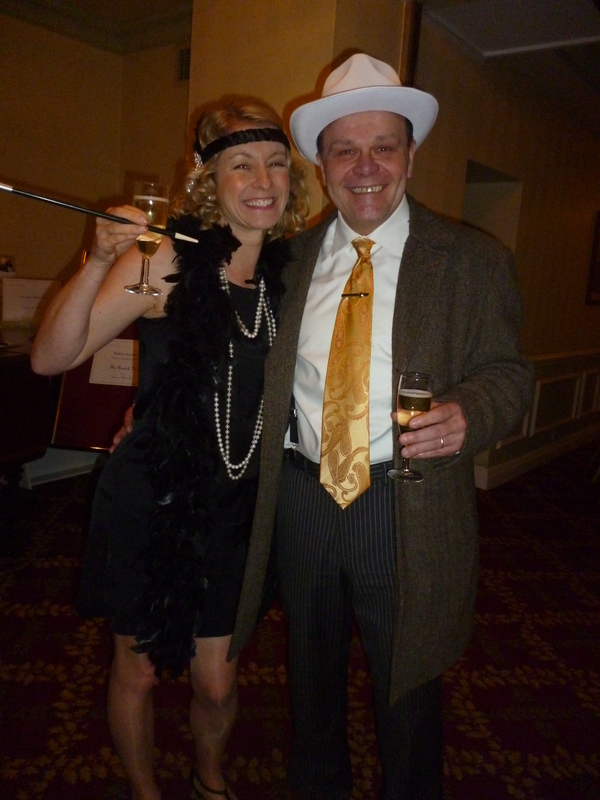 Well ….what a fabulous quiz night! Everyone enjoyed such a great evening with a brilliant atmosphere and £172.00 as well as valuable awareness for Altitude Sickness was raised. Thanks goes to our loyal and new followers, who made this 4th annual quiz so memorable, by joining our ever-growing Para-Monte ‘family’. We’d like to share some fabulous news with you all. Today we received another £172 for our Adam Savory Memorial Fund, donated by Santander-Eastbourne, who matched the money YOU raised in our annual Para-Monte quiz. Huge thanks to Santander for their generosity. 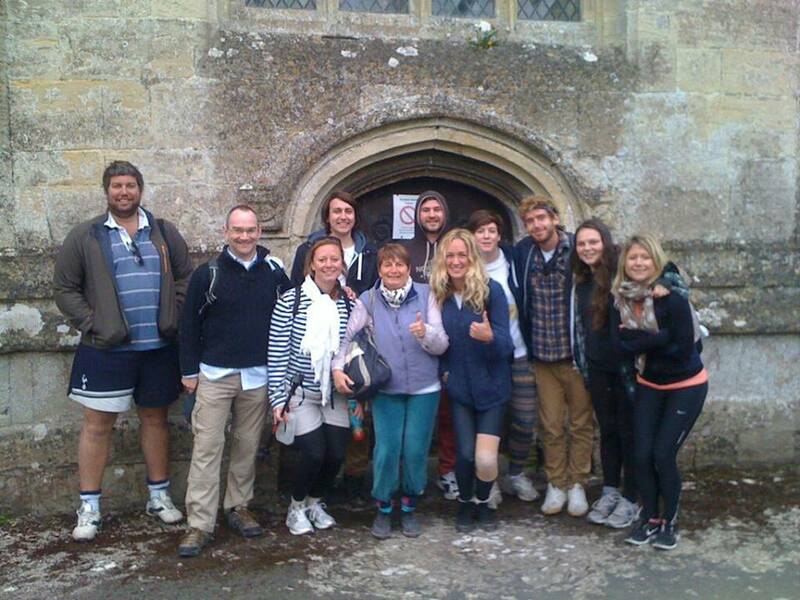 We’re so so proud of all our Para-Monte walkers, who completed the 10/12 miles South Downs wal. As well as all our friends who saw us off at the Wheatsheaf,helped out in Jevington and gave us a warm welcome at the Pilot, never forgetting all of YOU, our sponsors, who kept us going on the walk, to raise funds over £600 so far, as well as Altitude Illnesses Awareness. We’re ‘Living the Years’ and you all did Adam proud. 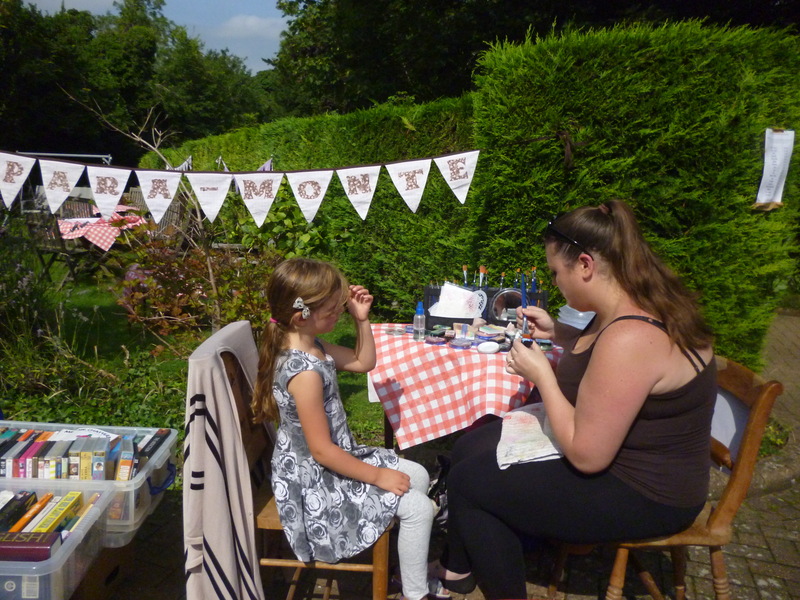 Well, what can we say…………..our big Para-Monte Bands & BBQ event was a fabulous sunny affair, created by all the lovely people who came and supported our charity. Listening to great music by Nick Webb & Jon Farey followed by the incredible (made shift) League of Gentlemen with Tom Robinson, David Welch, Dean White-Webster and Alex Robinson, made this gorgeous ‘sunny afternoon’ at the Pilot (thanks to Lisa & Simon for the venue) a truly memorable day for Adam. Massive thanks goes to everyone involved for buying the special Adam T-shirts, bags and raffle tickets, with small and major prizes gratefully donated and provided by Becky Seed-Beau K florist/ Ferry crossing/ Hydro Hotel /Anita – Phoenix Boxing club/ Coppice Cakes and others. Thank you all for this Fabulous, Fantastic, Fun, Family day. Special thanks goes to Alison @ the Wheatsheaf, Jill and Tim for the use of Five Gables garden again and all the cake makers, with their amazing designer cakes 🙂 as well as all the volunteers and all of YOU, who helped us raise £149.70 for the fund and that all important Altitude Sickness Awareness. Huge appreciation and thanks goes to each and every one of YOU for coming to take part in our 4th annual Para-Monte quiz. A lovely, fabulous evening, with lots of competitive teams (18), fun, laughter and togetherness was had by our amazing Para-Monte ‘family’. You managed to raise £327.50 towards further equipment, education and research as well as raising that all important Altitude Sickness Awareness. Your continual support for the charity and us means everything.We all did Adam proud. See you next year Folks ! An important and very proud day for Para-Monte. Thanks to all who made this possible,supported and shared our charity raising Altitude Awareness event. http://www.bbc.co.uk/iplayer/episode/b08bc3m2/south-east-today-weekend-news-29012017… @ 1.45 sec in…. 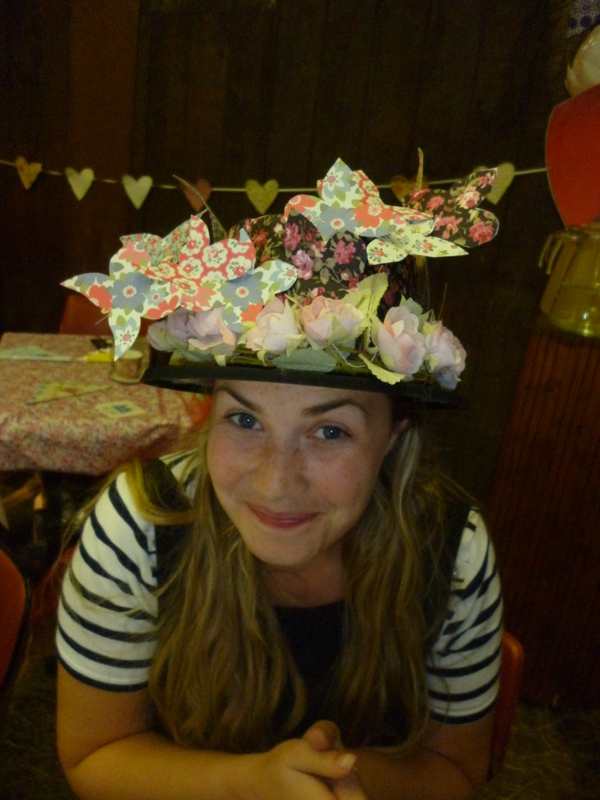 Well….did we enjoy the ridiculous ‘Mad Hats’…….teas, scones and cream, cakes, quiche, jam tarts and especially the sausage rolls……WE DID !! 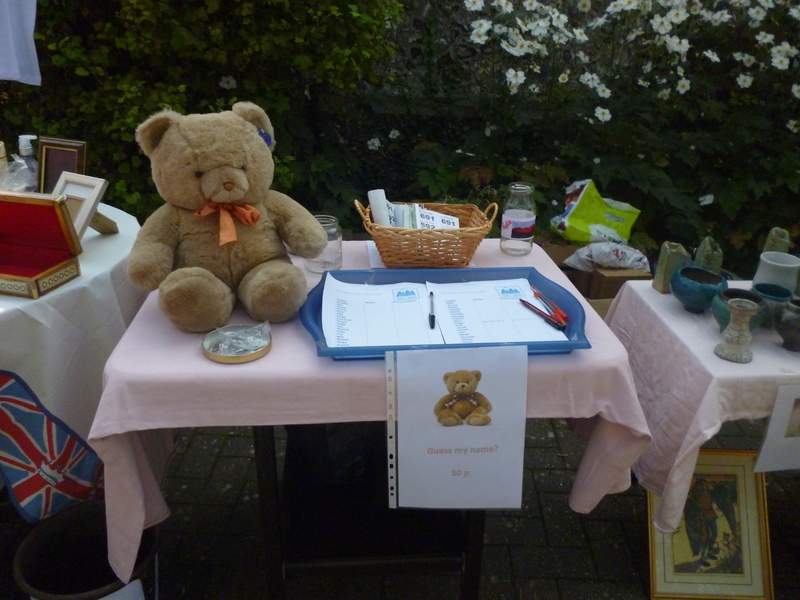 Thanks to EVERYONE who came and helped support us by: guessing teddy’s name, colouring of top hats and the raffle. 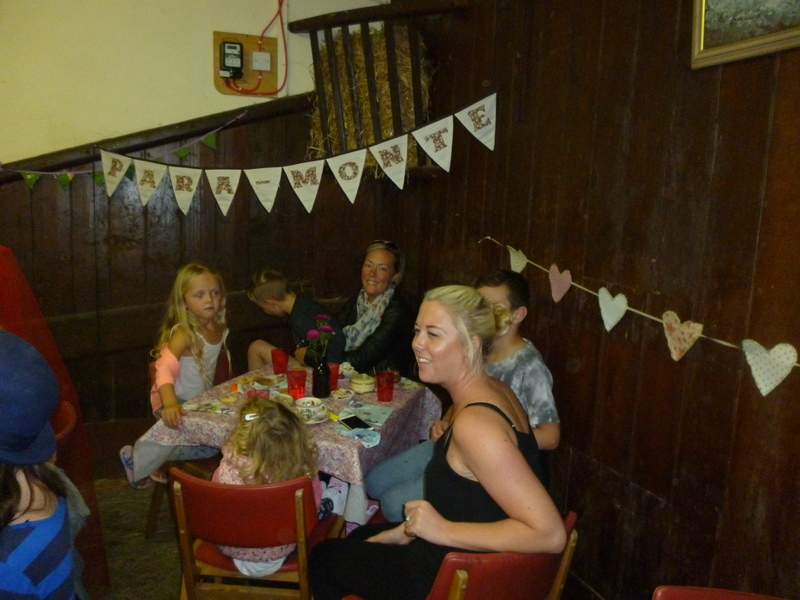 Together with the amazing £285 plus a further teapot with donations a total of raised for more research, equipment and our schools programme, you also helped to spread the word and raise Para-Monte’s profile about that all-important Altitude Illnesses awareness. We couldn’t do this without YOU! 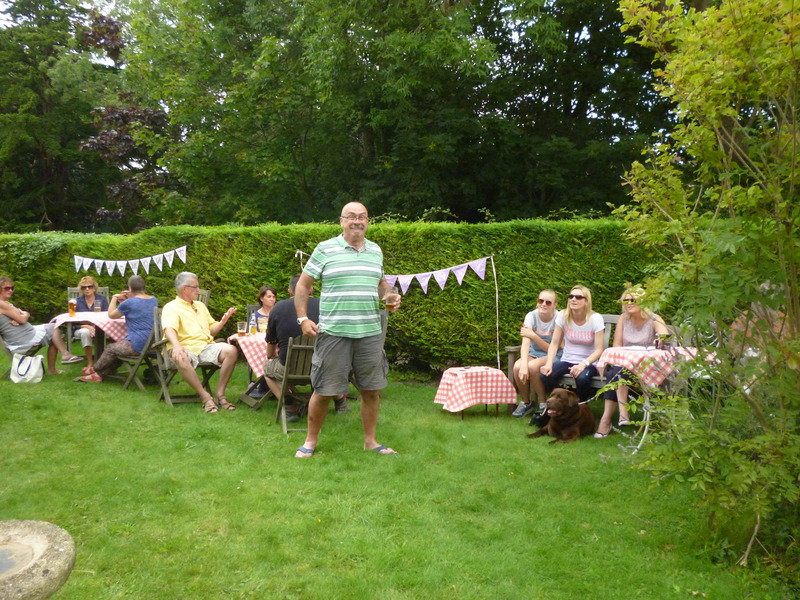 So our very popular and fabulous Bands & BBQ event was back for another year! Along with a mixture of musical entertainment we had an amazing, fantastic and fun family day, which gave us another opportunity to ‘spread the word’ about Altitude Illnesses and raise that all important Awareness! 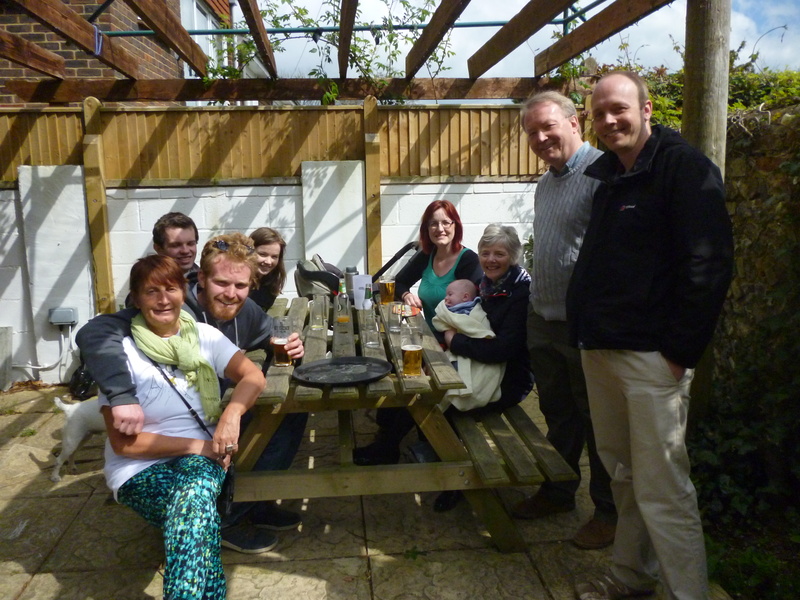 Family and friends came along to now familiar stamping ground the Pilot Inn, Meads, to enjoy the food and drinks, the raffle as well as having a good old dance and sing song to all the bands. Special thanks goes to Nick Webb for opening the event followed by Luke Dabbs, who traveled especially from London to play some of his own written songs for Adam and then of course our very own ‘Tommy Rob’ leading ‘Brotherhood’. 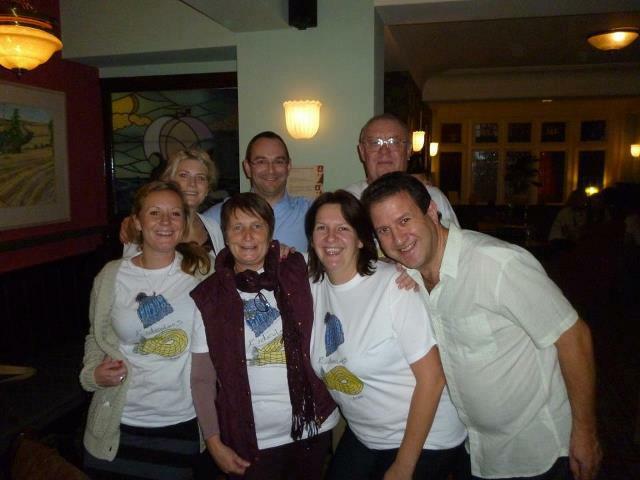 Huge thanks must go to all who made it this year and helped raise £423 for Para-Monte! Hope to see you all and many more next year!! 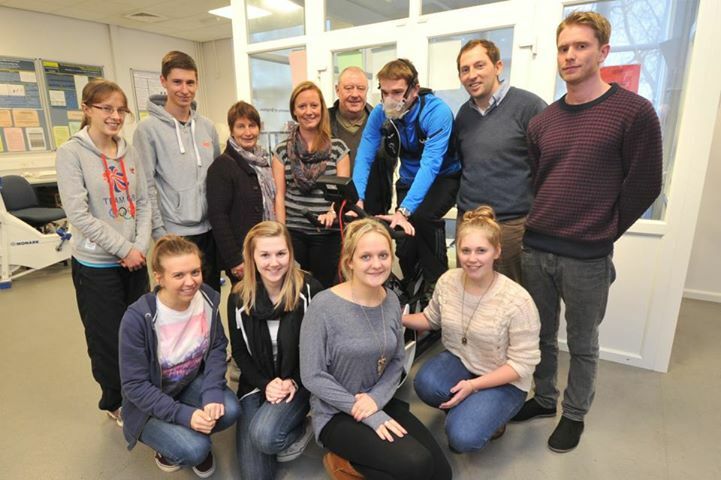 Thanks to you all we raised £309.20 towards more research into Altitude Illnesses. We couldn’t do this without all your fantastic efforts and support. 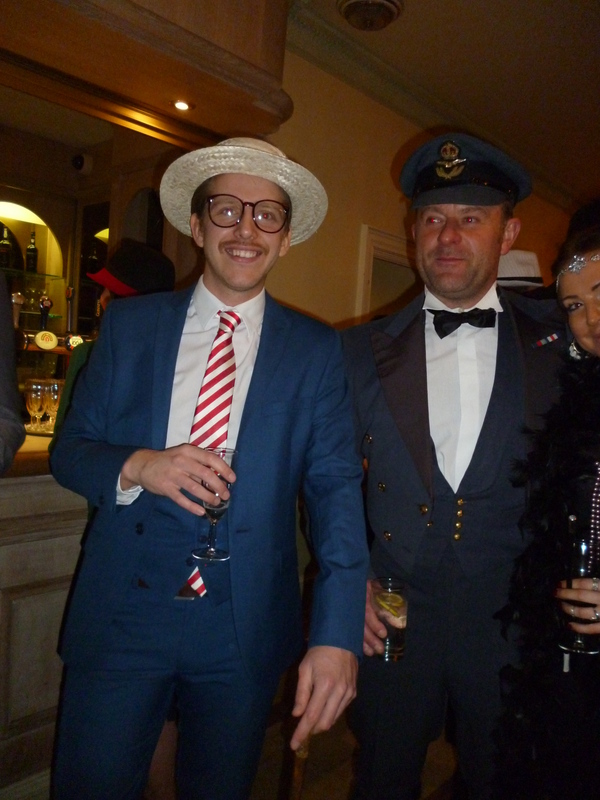 Our quiz night this year again was…….amazing, fabulous and great fun evening was had by all! Massive thanks to each and everyone of YOU who came and conquered the challenge, raised awareness and £226 towards further research about Altitude Illnesses. Proud of our Para-Monte ‘Family’ supporting the charity and ‘Living the Years’ for/with Adam. We couldn’t do this without all of you. 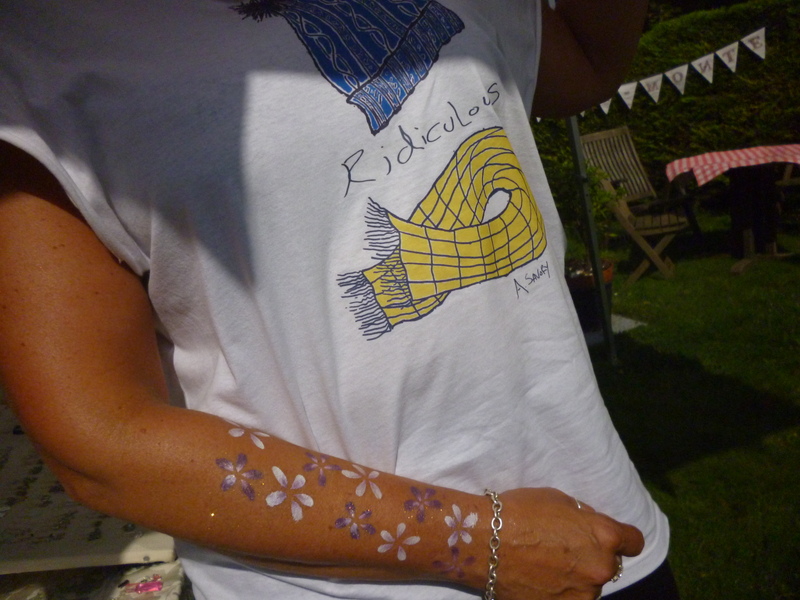 We had laughs, fun and wins on dogs, pigggies and gee-gees…. Thanks also goes to the the RAFA club venue, Dave, Lisa & Ian for organising this event. Lovely evening…… to be repeated late September…. for more folks to join in and enjoy! Another massive Thanks goes to the guys (you know who you are!) 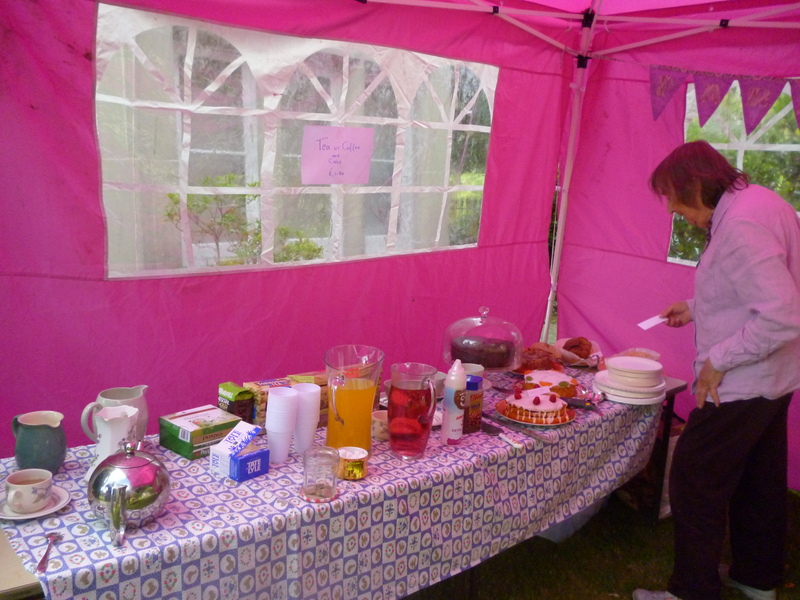 for setting up the gazebos as well as all the friends who baked cakes, cookies and cupcakes for us, helped sell raffle, guess teddy’s name tickets and made cups of teas and scones. A great Altitude Awareness discussion with a guy from Bedfordshire (keep spreading the word) all added to this years wet Para-Monte Summer Fete. A lovely, fabulous evening, with lots of competitive teams (18), fun, laughter and togetherness was had by our amazing Para-Monte ‘family’. You managed to raise £232.00 towards further equipment, education and research as well as raising that all important Altitude Sickness Awareness. Your continual support for the charity and us means everything, we all did Adam proud! See you next year Folks ! A massive thanks to The RAFA club, Dave, Lisa and Ian for hosting a great evening. To all of you who came, we had laughs, fun and wins on dogs, piggies and gee-gees and made this fabulous fun night such a success, raising altitude awareness and £175 for our charity.